Watch full One Piece Season 15 Episode 23 English Dubbed full HD online. One Piece Episode 539 English Dubbed online for free in HD. On Fishman Island, Ikaros orders the citizens to step on Otohime’s portrait, Daruma chomps his way through the island’s candy factory, Zeo and Hyozo threaten the citizens to leave if they do not step on the portrait. Meanwhile, Fukaboshi confronts Dosun to the crowd’s excitement. At the Sea Forest, Nami discovers that Arlong Park is the same as Sabaody Park. 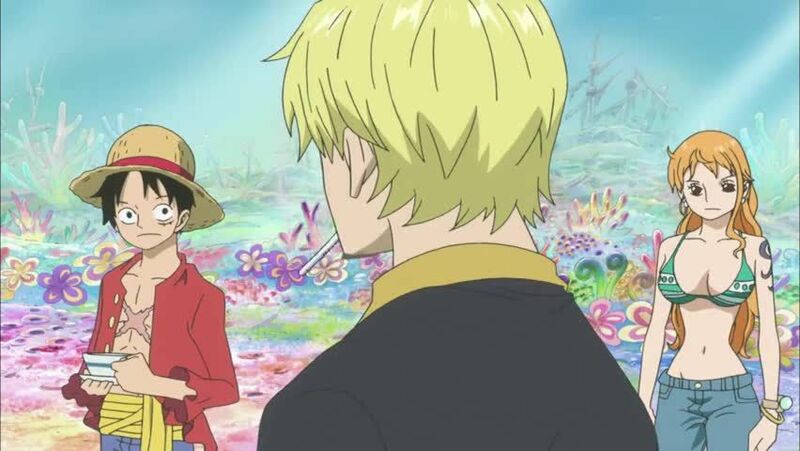 Sanji forewarns Jimbei that he might not forgive the fishman due to what Arlong did to Nami as well as his suspicions of Arlong’s similarities. It is revealed that the Ryugu Kingdom has suffered discrimination from humans and fishmen. He also reveals that he worked for the Sun Pirates’ captain Fisher Tiger, who along with Otohime, sought peace between fishmen and humans.